With numerous lifestyle diseases plaguing the world, we all run risks of major health issues at some of time in life. However, these can at least be minimized if not prevented with small changes. The food we eat is one of the important factors contributing to this. It is becoming more and more crucial to focus on eating healthy stuff for preventing illnesses or at least postpone its advent. 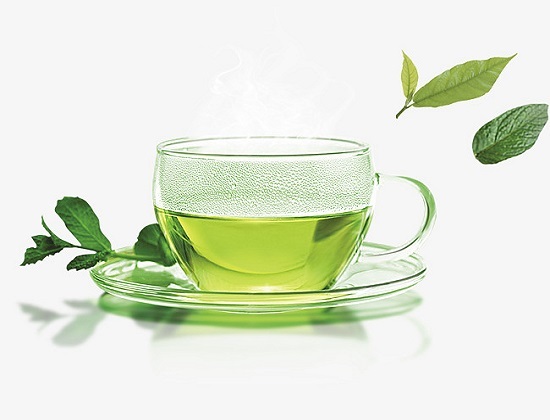 Green tea is very rich in anti-oxidants that reduce the formation of free radicals in the body. Free radicals damage cells within and also cause various diseases. Controlling their formation goes a long way in having a good health. Green tea has just the right amount of caffeine that is an important stimulant for the brain. Though caffeine also has certain drawbacks, the caffeine present in green tea does more good than harm. It improves alertness of the brain through enhanced blood supply. The presence of anti-oxidants prevents commonly occurring cancers like those of the breast and prostrate. Alzheimer’s and Parkinson’s diseases have become extremely common. Neurodegenerative ailments like this can be restricted and also prevented by having green tea. Compounds present in green tea protect the neurons in the brain. Diabetes is another lifestyle disease that the world faces today. However having green tea reduces the risk of type 2 diabetes to a great extent by improving insulin sensitivity and reducing blood sugar levels. Cardiovascular diseases mean diseases of the heart like heart attacks, strokes and other heart ailments. Drinking green tea can reduce the risk of all cardiovascular diseases to a great extent by controlling cholesterol levels in the blood. These are some of the pertinent reasons for you to include green tea in your daily routine and make it a part of your lifestyle if you wish to ward off any or all of the above health hazards.